verts for this much . Species description: Smaller species of one of largest carnivores during dinosaurs age with 12” corner teeth with roots and up to 49 ft long and USA own species found in western USA. 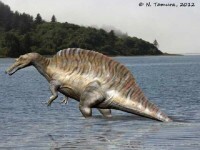 Very powerful and massively built dinosaur which hunted solitary . It easily downed its prey with quick surprise attacks. Species description: Smaller species of one of largest carnivores during dinosaurs age with 12” corner teeth with roots and up to 49 ft long and USA own species found in western USA. Very powerful and massively built dinosaur which hunted solitiary . It easily downed its prey with quick surprise attacks. Description and rating: 1-10 9.0 This is a fine rare Premax tooth 1 ¼ inch approx. . It has many serrations and enamel is great . NO restore or repair . The serrations and color and enamel are all just super great and a great price .The tooth was really found at a place I rarely get items Northern Montana . Due to quality and rareness here it is at great price. Description and rating: 1-10 9.8 Premium Nano Rex Caudal Vertebrae 4” . 100% Original . Extra Nice Centrums also .This is way rarer than TRex, and it is whole, no break, no resto caudal vert. I have never seen any before and this one was with another next to it. They are easily Ided with tyrannosaur having a small hole in side of centrum. Also you can see the honeycombed nature of the n bone on top on this one . Size is only difference between Rex This has the canal also and is one closer to the end than beginning of tail due to the type of processes and canal . It is very shiny as all TREX and Nanorex are also . Bone quality is amazing on this The end of centrums has some wear bit no repair or resto on this one as no breaks . It was Ided by top palentologists when a rancher found it . Less wear on these but no repair on centrums .These are just as valuable as TREX as it’s a sister species. Only a few of these bones have ever been found as usually teeth are about it. I do have a Nano rex femur that is so rare few have ever seen one. This is a prize piece. It’s a beautiful dark brown-black as it was found underground and it’s all original. You can tell because no cracks exist at all. IM sure it will give a Rex enthusiast who wants something not too expensive a chance to own one of the world’s true wonders. People just don’t get these at this price. This was my cost on this one. Just a giveaway to get your business. This one is a little less since not full canal present If this was T REX its worth 2000 so a chance to get a Rex a lot less. Species description: One of largest carnivore during dinosaurs age with fossils in this area almost unheard of. I also have a whole metatarsdal from this species . 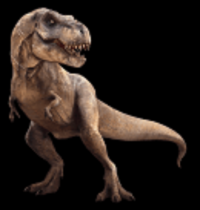 It probably was smaller than rex so around 40 ft long wit tail and looked like TREX buit an earlier tyrannosaur . No articles have been written on this tyrannosaur as not enough material exists. This only lived in Texas to our know- ledge. It lived in western USA – one of largest in the United States that ever lived and killed and scavenged prey. Species description: Largest Ever Therapod Meat-Eating Dinosaur from North Africa up to 60 ft long and larger than TREX which ate fish often and had a key sail on its back for temperature regulation. Some of spines were more than 6 ft high. They large teeth instead of curved like many meat-eaters. Item location: Kem-Kem Basin (sandstone deposits) close to Erfound and Rossani South of Taouz, Morocco . North Africa. Item Description:1-10 9.7”All Original 100% Monster 6.13” Around the Curve Long Spinosaurus Hand Claw-Largest Therapod Ever. This animal was bigger than Rex .This is just a beautiful claw with crack fills but no restore . This is one of the largest I’ve had . My last one sold for $6999 so this is a chance to get a great one for a great price. I’ve been able to buy due to price. These big ones are going in Tucson show for 14,000 plus. This fortunately was from an old collection so I was able to secure from a previous buyer at better cost than now. Rarely do you ever find a claw this big. Its wide and thick so this animal was massive probably at top of length at 59 ft long. The color is very beautiful. I can’t even find wear at all here on this one . The bone quality, shape, tip, color is all excellent and all is from the same animal for sure . I can’t say enough about this claw-it will just floor you. The detail of grooves is not deep but on big ones that is normal . It has 2 crack fills -that’s about it My carch claw above this one is amazing deep and wide also. The condition is still top premium. I saw only one 7” claw in Tucson last year and it was 12,500 so here is your chance. You know Rex hand claws are only 5.5 inches at most. This claw is spectacular in every way, and is from an old collection bought thru a friend. The articulation point is amazing on this piece . Anyway I’ll let pics do the talking on this one. These prices have skyrocketed in 1 year since numbers finding can’t keep up with demand .I could not afford show price so here is your chance The value of these is actually over 1300 per inch so this is worth 8000. I sold my last one at 5.87 inches for over six thousand. So here it is the less expensive one this size anywhere on earth I guarantee. Claws large are so hard to get now a 7 ” Claw Spinodaurus now in Tucson goes for 11,000 wholesale so 8/8 inch less for half price . This claw is outstanding with 1-2 breaks with gluing back only. It a super claw. IM selling this for someone else It is a very very good claw and large .